I've been kicking around the idea of doing a small encounter board for my D&D and other RPG games. Most of my RPG encounters take place over a small area compared to the amount of space needed for a war game. 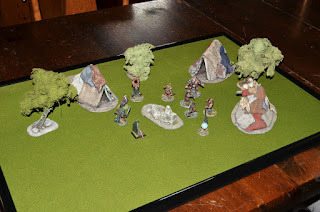 Most of the time I set up my RPG encounters on a 4x4 foot war game table or larger. I wanted something smaller that I could place on my gaming table instead of off on another table. 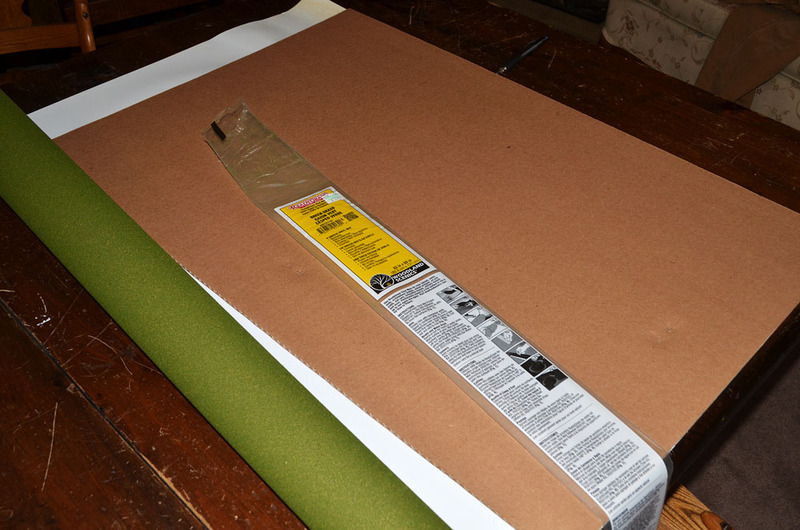 I picked up a 33x50" Ready Grass Vinyl Mat from Woodland Scenics and a 20x30" poster frame from Walmart. I think I spent about $20.00 U.S. on the project but I don't have the exact figures. I laid the cardboard poster backing from the frame on the grass mat then traced the size. 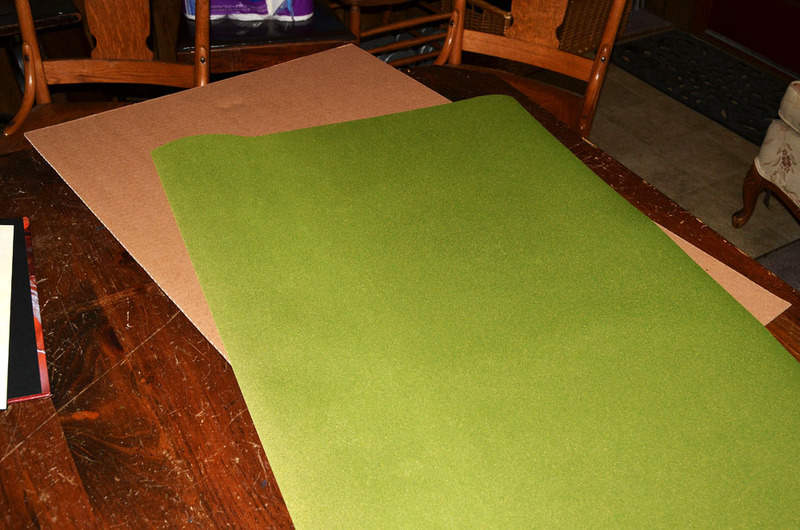 After cutting the mat I was mostly done. 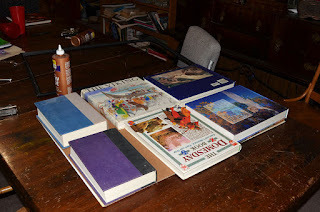 I used some tacky glue to glue the mat down to the cardboard backing then placed some heavy books on and let it set for a couple hours. I recommend against using a water based glue for this to prevent warping. I did have some slight bubbling with this but that worked out okay because the board looked more natural with the slight rolling surface rather than if it was perfectly flat. Looks pretty good with terrain and figures on it. Just exactly what I was hoping for. The frame separates it nicely from the table and I think it might prevent dice from rolling onto the board so easily. I plan to make several more of this for different types of terrain including one with a flat black surface for laying down dungeon tiles.